W Dubai - The Palm has appointed specialist luxury travel PR agency Lemongrass Marketing to manage UK and Irish PR, following a competitive pitch process. W Dubai – The Palm is an important launch for the brand and Lemongrass Marketing will be responsible for all strategic communications in the region. 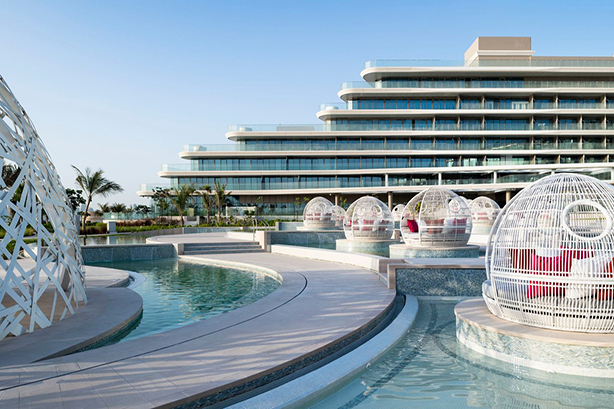 W Dubai – The Palm is the first W Escape resort in the Middle Eas and the newest property from W Hotels. The resort sits on the West Crescent of Palm Jumeirah – Dubai’s ambitious man-made island. The hotel has a series of collaborations with international personalities, including Michelin-starred chef Massimo Bottura of the world’s top-ranked restaurant Osteria Francescana, and Japanese Michelin-starred chef Akira Back. "We are thrilled to be working with Lemongrass Marketing on this flagship property for W Hotels in the Middle East," W Dubai – The Palm GM Anne Scott said. "They demonstrated a clear understanding of the brand and showed innovative creativity. We’re looking forward to working together to make W Dubai – The Palm famous." Lemongrass Marketing founder and managing director Mirjam Peternek-McCartney added: "We are delighted to kick off our partnership with W Dubai – The Palm. The brand is renowned for their disruptive approach to luxury travel and we are incredibly excited to join forces to execute an innovative, and highly successful launch in the UK market."